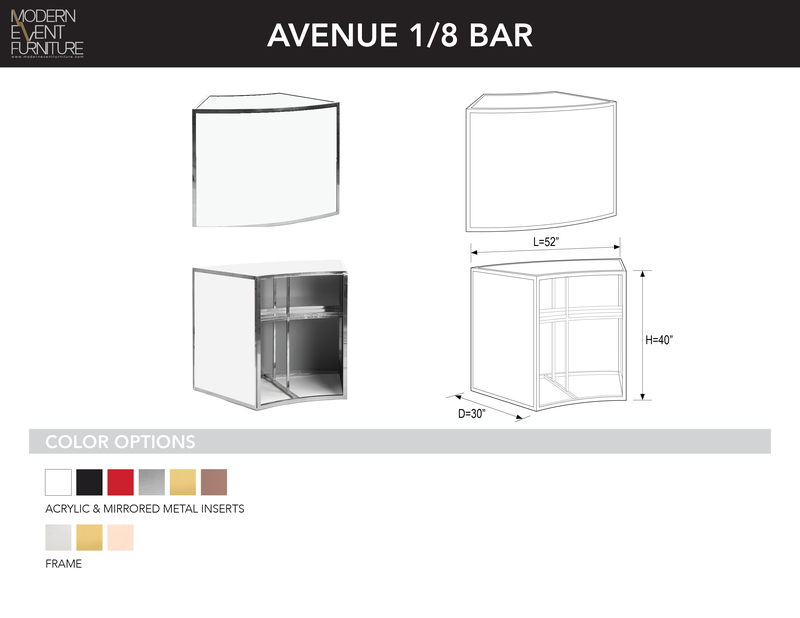 1 frame with built in shelf, 1 top insert, 2 side inserts, 1 front insert complementing our bar & food station equipment, the bar backs are designed for ease of use during your event. The enclosed top level can be illuminated & branded. Built of the same heavy gauge stainless steel as our bars, these units will support the weight you require!